Physicist Cyril Domb passed away last month at the age of 91. Physicist Cyril Domb, whose advancement of theoretical physics led to new understandings of everyday phenomena, passed away last week at the age of 91. A mathematical prodigy, he also was an accomplished Talmudic scholar and authored dozens of articles on the interplay between the Torah and science, in addition to several Jewish scholarly works. He became known for his religious convictions, earning the reputation of a model teacher whose care for his students went beyond the call of duty. 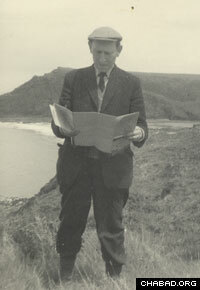 Born in London in 1920 to Yoel and Sarah Dombrowski, Domb was given the Jewish name of Yechiel. He credited his grandparents, Chaim and Frumet Wulkan, with instilling in him a “very strong religious commitment” through the examples they set in their lives and home. From an early age, Domb excelled at mathematics and his teachers assisted his advancement in the field. In college, Domb encountered many challenges to his religious life. He would later credit those difficulties in shaping who he would become. After two years at Cambridge, Domb received first-class honors; he graduated in 1941 with an undergraduate degree in mathematics. With World War II raging across Europe and Asia, he joined the Admiralty and Signal Establishment in Portsmouth and worked on developing a way to determine the height of enemy targets from radar returns. 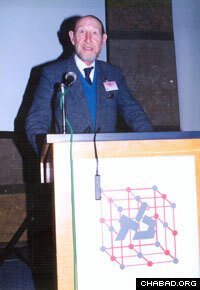 As a Cambridge lecturer in 1952, he went to an interview for a professorship at Kings College in London. When the issue of his being unable to attend official functions during the Jewish Sabbath and major holidays came up, Kings College principal Peter Noble rose to his defense. Domb received the appointment in 1954, and never encountered anti-Semitism or any form of discrimination at the school. Three years later, he married Shirley Galinsky, with whom he raised six children. In 1977, he was elected as a fellow of the Royal Society, and four years later, won the prestigious Max Born prize for his contributions to physics. Shortly thereafter, he moved to Jerusalem and became a professor of physics at Bar Ilan University in Tel Aviv. 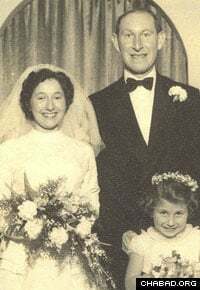 Cyril and Shirley Domb married in 1957. At Kings College, Domb placed great emphasis on placing theoretical physics at the center of his department. In 1960, he wrote Advances in Physics, a classic in the field. “His thesis contained the seeds of ideas on critical phenomena that have engaged a full generation of researchers, and still provide a rich lode of research ideas for future development,” stated Michael E. Fisher, professor at the University of Maryland’s Institute for Physical Science and Technology. In 1972, together with statistical physicist Melville S. Green, he edited Phase Transitions and Critical Phenomena. After Green’s passing, he worked with Lebowitz as co-editor and by 2001, produced 20 volumes of what is considered the most authoritative series on the topic. Professor Domb received a coveted Cambridge University scholarship right out of high school. As both an accomplished scientist and religious Jew, Domb was often requested to lecture on science and religion. But beyond a handful of speaking engagements, he did not reach out to the many people who had questions about how the biblical narrative of creation, the existence of G‑d, and other foundational beliefs could jive with accepted scientific theories. His reticence was challenged when the debate between George Gamow’s “Big Bang” theory of creation and the predominant “steady state” theory raged in the pages of newspapers around the world. Press reports that framed the dialogue put religious thinkers on the side of the Big Bang. The Jewish Chronicle in London reached out to Domb and asked him to write an opinion piece of 1,000 words on the issue. In his article, he asserted that Judaism could stand alongside any one of the theories. “This was the first time in which I engaged in public discussion” on science and religion, he would later recall. Around that time, Domb was introduced to Chabad-Lubavitch by Rabbi Dr. Kopul Rosen, founder of Carmel College. Rosen had visited the Rebbe, Rabbi Menachem M. Schneerson, of righteous memory, in New York and taken up his suggestion to study the foundational work of Chasidic thought known as the Tanya. Rosen shared this newfound knowledge with Domb, and when Domb had questions, Rosen told him to write to the Rebbe. “I have never met a man who impressed me more profoundly and in whose presence I sensed a greater feeling of wisdom and utter selflessness,” Rosen wrote of the Rebbe in a letter published in a volume in his memory, which was edited by Domb. Professor Domb focused his research on critical phenomena. The Rebbe told Domb that notwithstanding his vast Jewish pursuits, he should devote the time to write further about Judaism and science. He immediately followed that letter with another, an atypical act that underlined the urgency. In the second letter, the Rebbe emphasized that in the present age, many Jews were rejecting Jewish teachings because of scientific questions. Those questions demanded answers. “I was gratified and honored to receive a very detailed response from the Lubavitcher Rebbe,” Domb later expressed. 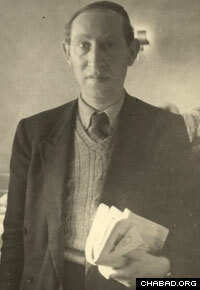 Influenced by the letters, he began spending more time working with other Jewish scientists on religious issues and wrote several articles on the subject, which were widely distributed and reprinted in many books and languages. 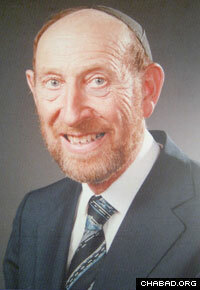 He later compiled and edited with Rabbi Aryeh Carmell Challenge: Torah Views on Science and Its Problems, an instant hit that was reprinted several times in its first year of publication. It was clear from the outset that Domb and the Rebbe had different views on the validity of the theory of evolution. The Rebbe, however, held such a view as apologetic, stating that the biblical account of creation was literal and precluded the possibility of the world being billions of years old. Yet Domb chose to print the Rebbe’s letter on the subject as the first essay in Challenge in its section of creation and evolution, introducing the Rebbe as one who “has paid particular attention to estranged Jewish intellectuals” and had studied at the University of Berlin and the Sorbonne in Paris. Although the Rebbe disagreed with Domb, he continued to encourage the scientist to write, and advocated for other scientists to submit articles for Challenge. Domb asserted that in the 20th century, the observant Jew had an easier time living a religious life than his predecessors. Professor Domb lectures at Bar Ilan University. Like the Rebbe, Domb saw great scientific theories not as absolute truth, but as extrapolated conjecture grounded in observation. Fisher noted that religion had a great effect on how Domb acted in his everyday life. After coming home from university each day, Domb would spend much of his time engrossed in Talmudic studies. He authored a book on Jewish law and penned many articles for the Journal of Torah and Scholarship, which he launched and edited for the Bar Ilan University publishing house. “Daddy never wasted time,” said his daughter Yocheved Debow. “He always taught us that time is the most precious gift we are given and it must be used well. We never saw him not doing something and he didn’t really need to relax. A short while before his passing, the prestigious Journal of Statistical Physics, published by Springer, dedicated an issue in Domb’s honor, with many papers written by his students from across the globe. Please be comforted among the mourners of Zion, in our shared very great loss. And we close for NOW in Blessed be the TRUE Judge. In Memory of Yehiel Domb I knew Professor Domb quite well but discovered new wonders about him in your excellent hesped. Thank you!